Dear APIC students! 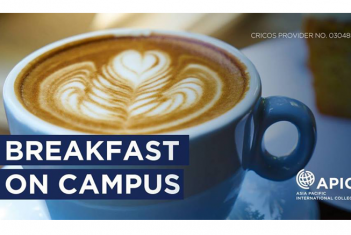 We invite you to have breakfast and connect with other students in the ECA Group Chippendale Campus. It is important to know that this is a FREE of charge event. Come to get in contact with our staff, other students and to have a wonderful start of the day!